Buenos Aires has been chosen for 3 consecutive years (2014, 2015 and 2016) as the #1 destination to visit in South America by millions of Trip Advisor users in their “Traveler’s Choice” contest... and rightfully so! This cosmopolitan, vibrant, and sophisticated city, commonly referred to as the “Paris of Latin America,” is the best place in the world to enjoy a first-class tango show and to savor some of the tastiest steaks, accompanied by the celebrated Argentine Malbec wine. Our expert “porteño” (as locals are called) guide will take you on a cultural journey, where you’ll visit the most iconic neighborhoods and learn about the highlights of the city. This tour is also a great opportunity to learn from your expert tour guide, the necessary information and useful tips to make the most of your free time in the city. 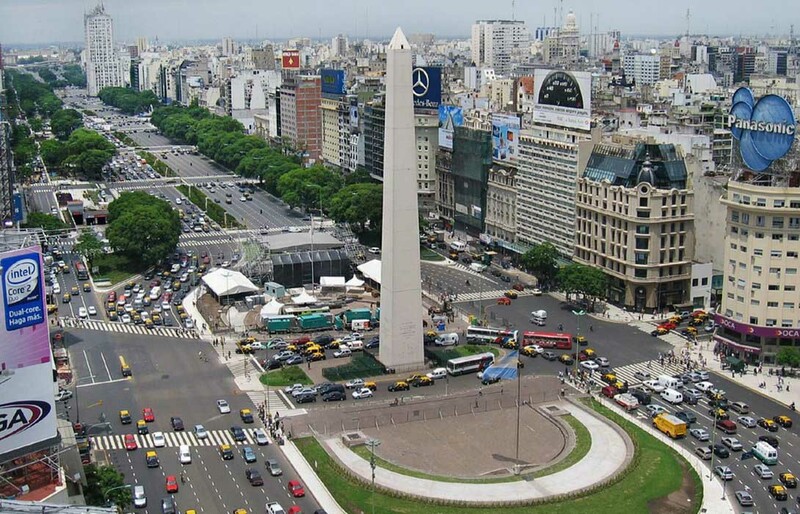 Our exploration will begin at historic Plaza de Mayo (May Square). 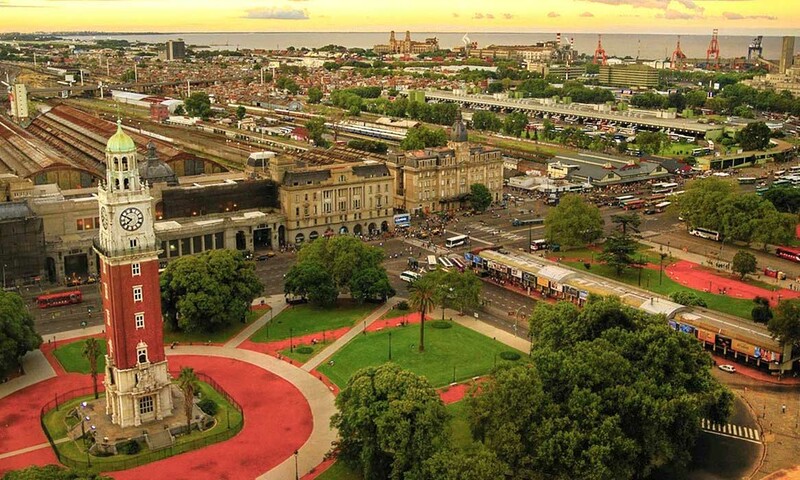 The site of this 19th century square has origins dating all the way back to the foundation of Buenos Aires, in 1580. It’s the oldest square in Buenos Aires, and has always been the epicenter of political life in the city. Major national revolutions and proclamations were held here (including the revolution that led to Argentina’s independence from Spain in May of 1810, hence the square’s name). Even today, Plaza de Mayo stands as primary location for major political demonstrations and public gatherings alike. And since it’s always been considered the beating heart of political life in Buenos Aires, it is a most suitable place to begin, in order to get better acquainted with the bustling metropolis that is this city. 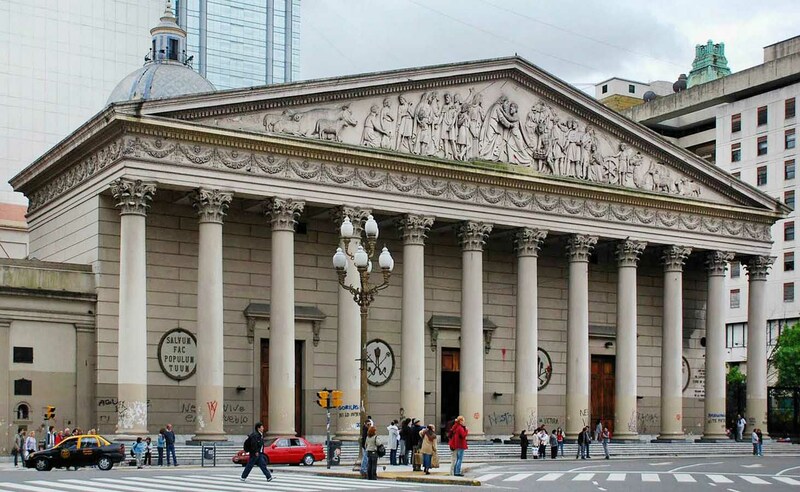 We will continue, as we traverse the neighborhood of Montserrat, a historic section of the city which is home to some of the most important public buildings in Buenos Aires, including City Hall and the Libertador Building (which houses the Ministry of Defense). 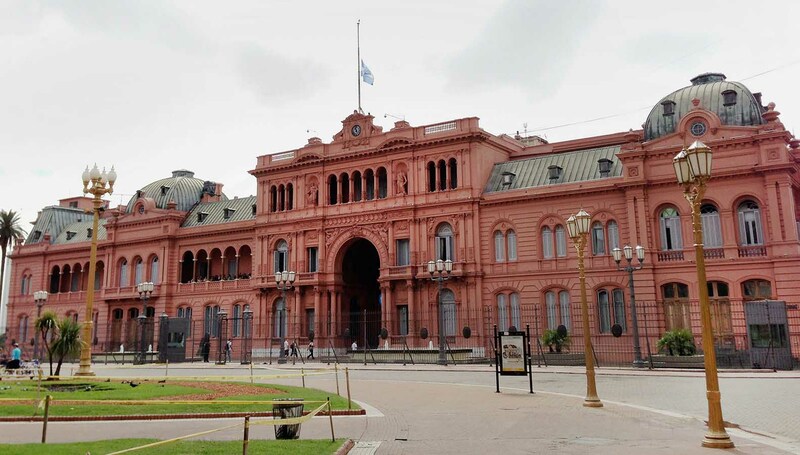 You will also have a chance to see Casa Rosada (the Pink House). Our equivalent to the White House in the United States, it is the seat of government for the executive branch (the president, as well as ministers of state). Next, we’ll journey through the oldest neighborhood in Argentina, San Telmo; an area that simmers in a great Bohemian vibe! The old cobblestone streets are lined with colonial buildings, market stalls, and antique stores. We might also see some street performers while we’re here, as it is hotspot for Tango! 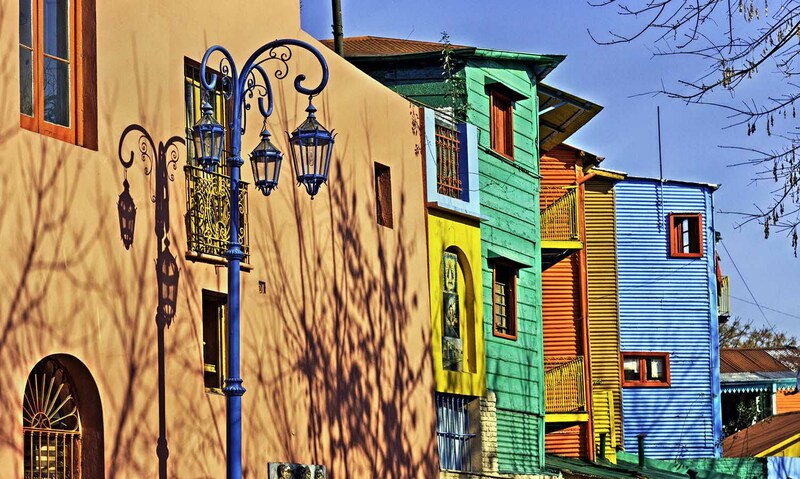 From San Telmo, we’ll move on to neighboring La Boca, a traditionally Italian area of the city which is best known for its collection of vibrant colors, splashed to and fro. There is one street, especially, full of colorful houses: the Caminito (“Little Walkway”). As you walk down Caminito, the hues of blue, green, yellow and just about every color in the rainbow will catch your eye and mesmerize you. 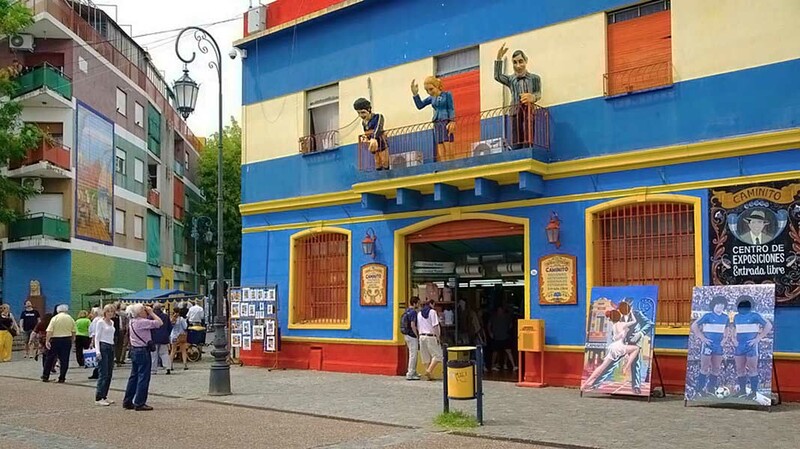 This area is also known for being the home of the world-renowned soccer club Boca Juniors, ranked second in the world by the quantity of international titles won. The club plays their home matches in their stadium, La Bombonera ("The Box of Chocolates" in Spanish). 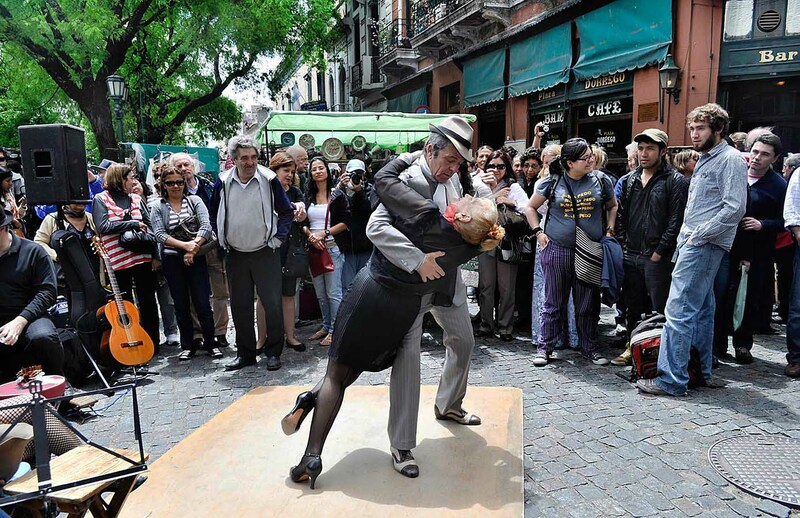 You’ll want to keep your eyes peeled here, as sometimes people break out in impromptu tango dances, right on the streets! 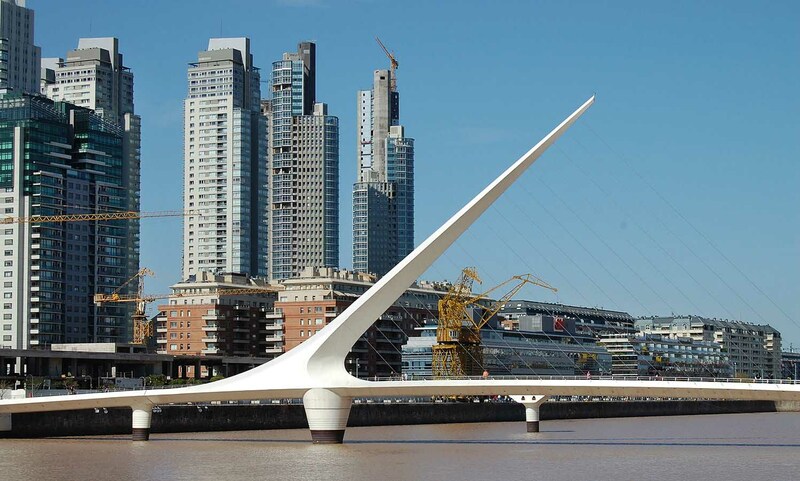 We’ll then make our way to the Puerto Madero neighborhood, which displays the latest architectural trends in the city. With its many modern and post-modern buildings, it’s a relatively quiet, upper-class residential neighborhood with a charming promenade which guides you along the canal, and is great to visit, and for a walk, during your free time in the city. We then head to Palermo Chico (Little Palermo), a chic neighborhood that has quickly become one of the most desirable areas in the city. Attracting those with a certain degree of glamour and class, the neighborhood features some of the most classic small mansions as well as the most expensive real estate in the city. One great feature of Palermo Chico (that we will drive along) is the Bosques de Palermo (Palermo Woods). These 400 hectares of lush greenery within the city make for a veritable oasis which includes a Japanese garden, as well as a year-round rose garden. Finally, we’ll visit the world-famous Recoleta Cemetery. You can quite easily get lost in this labyrinth of a necropolis; with over 6,400 statues, sarcophagi, coffins, and crypts! Some of the tombs and crypts are so luxurious and ornate that the cemetery was listed by CNN as one of the 10 most beautiful cemeteries in the world! 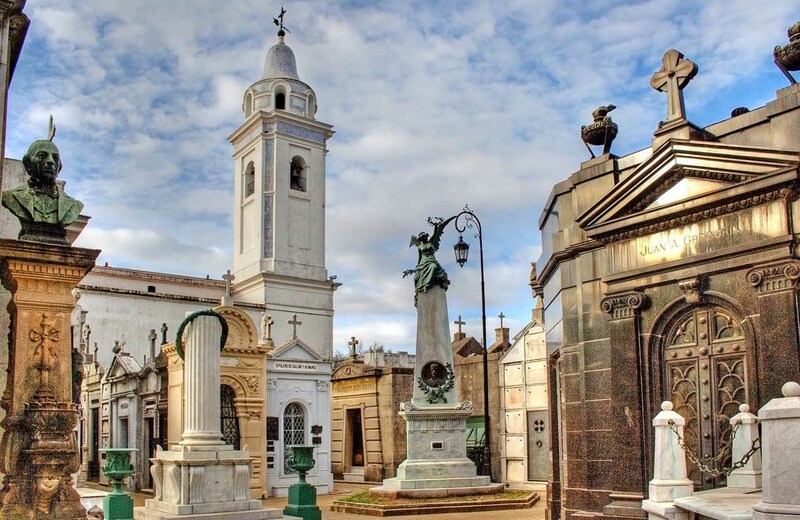 This was the city’s first public cemetery, and within its grounds lie some of Argentina’s most celebrated citizens including Eva Peron (the nation’s beloved ’Evita’). Also buried there is a granddaughter of Napoleon, as well as presidents and Nobel laureates alike. As our tour draws to an end, and having seen many of the fascinating faces of this wonderful city, you will feel like you truly know Buenos Aires. The usual 3 stops we make in this tour are: downtown (Plaza de Mayo), La Boca, and Recoleta neighborhood (to visit the cemetery). Important: the tour’s exact itinerary, stops and duration may change subject to decisions of the tour guide to optimize your tour experience. Duration: 4 hours. If you arrive to Buenos Aires on a morning flight, we highly suggest doing this tour on the first afternoon as this tour is a great opportunity to learn from your expert tour guide the needed information and tips to make the most of your free time in the city.